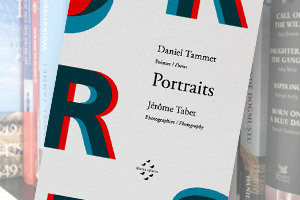 Discover Daniel Tammet's first poetry collection (illustrated and bilingual edition). 24 Aug 2017 and in the US on 12 Sept 2017. Daniel has an official Facebook page where you can read recent articles, see photos or send him a message. 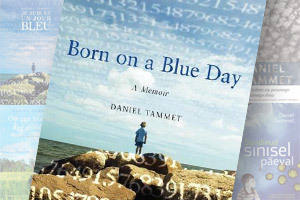 Daniel Tammet's works have been translated into more than 20 languages and have appeared in bestseller lists around the world. 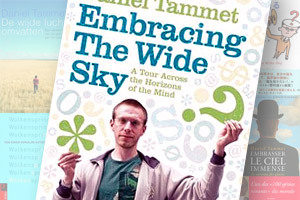 Daniel Tammet is an essayist, poet, novelist and translator. 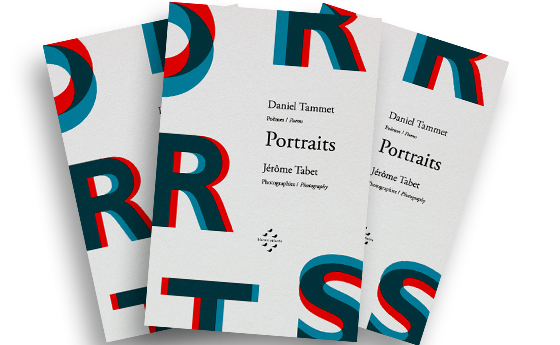 His latest book is Portraits. He is also the author of Every Word is A Bird We Teach to Sing, Thinking in Numbers, Embracing the Wide Sky, and the New York Times bestseller Born On A Blue Day. 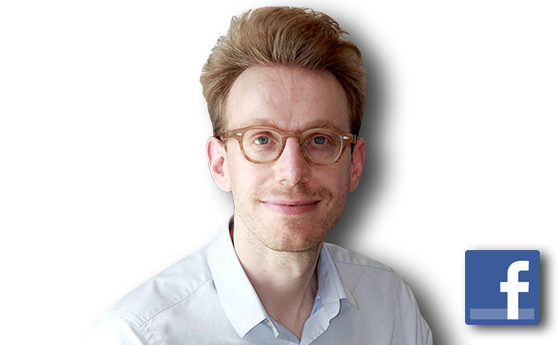 Tammet is Fellow of the Royal Society of Arts (FRSA). He lives in Paris. 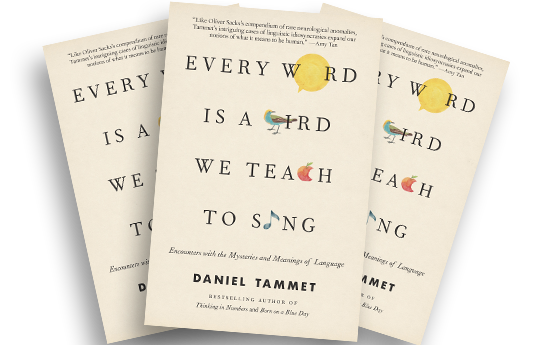 "Tammet's intriguing cases of linguistic idiosyncrasies expand our notions on what it means to be human ... most fascinating is Tammet's own astonishing linguistic mind, in which a single word evokes fully textured experiences--an innate ability that would dazzle any storyteller in love with words and their deepest meanings." 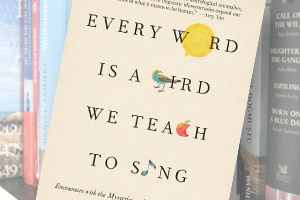 Excerpt of a review of Every Word is a Bird We Teach to Sing, Amy Tan, 2017. 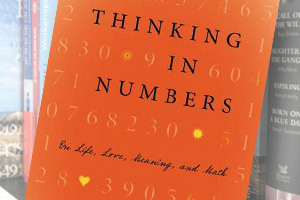 Find out more about his latest book. 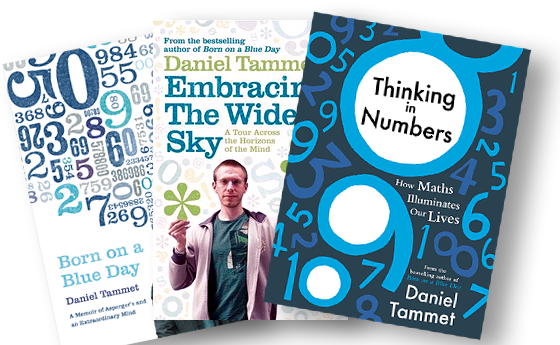 Daniel sees numbers as shapes, colours and textures and can perform extraordinary maths in his head. He can also learn to speak a language fluently from scratch in a week. He has Savant Syndrome, an extremely rare form of Asperger's that gives him almost unimaginable mental powers. Embracing the Wide Sky is a unique and brilliantly imaginative portrait of how we think, learn, remember and create, brimming with personal insights and anecdotes, and explanations of the most up-to-date, mind-bending discoveries from fields ranging from neuroscience to psychology and linguistics. Une œuvre puissante pressentie chaque année pour le prix Nobel de littérature, traduite pour la première fois en France. 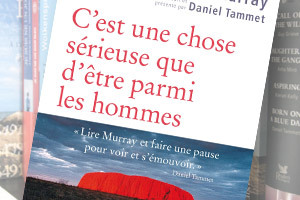 Daniel Tammet présente quarante des plus beaux poèmes de Les Murray, qu'il commente et traduit pour la première fois en français. Moscou, mars 1960. En Union soviétique, les échecs sont un sport national et le champion du monde, Maxim Koroguine, est le héros du régime. Avec lui, le jeu d'échecs est devenu une science de la logique. Surgit alors un jeune prodige de 23 ans, Mikhail Gelb, surnommé Mishenka, romantique et imprévisible.